James Neiss/staff photographerNiagara Falls, NY - The New Hope Baptist Church is celebrating their 75th Anniversary Jubilee. 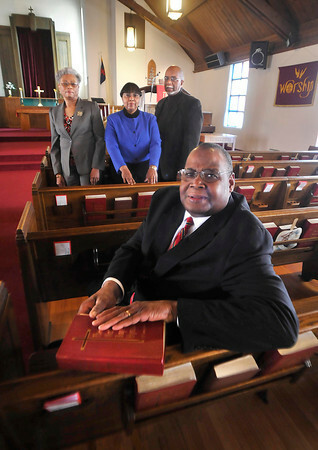 From left are, member Bennie Williamson, deaconess Mary Louise Jones, deacon Charles martin and Rev. Harvey L. Kelley.